Our Locality | St. Brendan's N.S. This is an aerial photo of Newmarket. In it you can clearly see the village with the school and the church the two most important buildings in it. The rural nature of the village is also clear to see as you notice all the fields surrounding the village. 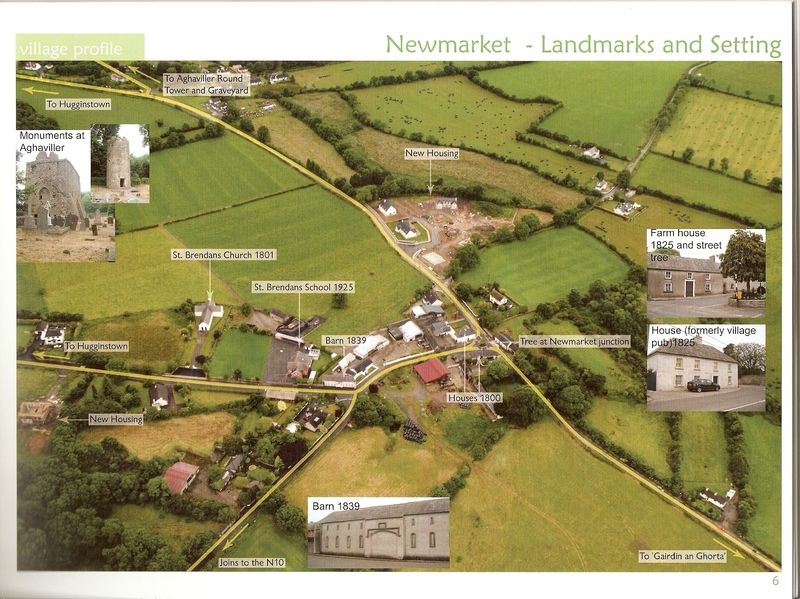 Newmarket is a lovely, quiet, rural village. Long may it remain so. When I was surfing on e-twinning portal, I found your school. Actually I was looking for a school from Newbridge , unfortunately they were not interested in projects now. My name is Cigdem Durney My husband was Andrew Michael Durney ,I have got two irish boys . I lost my husband 11 months ago. ı really want to make a cooperation with an Irish school .It was his plan to do this and I want to do this for him now.He was a teacher in Turkey.ı am an english teacher in a primary school in Turkey. If you are interested in sharing project using all the internet tools I am looking forward to hearing from you.